I closed the doors of Ortho-Flex Saddle Co. Inc. in 2001 because I could see no future in the DELRIN PANEL SYSTEM. I was in the midst of moving the company there. I could have kept it and worked out an operating plan but it wasn't worth it. I offered to help move the rest of the company to Warren & spent 6 weeks doing so. They never had anyone there for me to train in saddlery or how the system is attached or works. They just started over with a building full of patterns & no trained employees. I am not associated with the Arkansas Company. 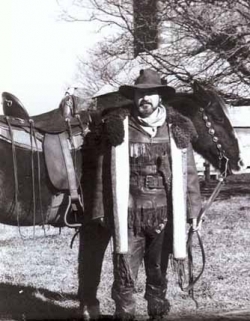 The Trademark of Ortho-Flex and old saddle patterns & equipment was then sold to a horsetrainer in Tennessee. He made few saddles and sold it to another TN. Trooper Saddlemaker. Both the Tennessee guys thought they were buying the original Ortho-Flex Saddle Company. I still own and operate the ORTHO-FLEX SADDLE COMPANY INC. I DO BUSINESS AS "LEN BROWN'S INNOVATIONS LLC. The name change was to eliminate CONFUSION ON THE PART OF THE CUSTOMERS. There was and still is a lot of that. The 3 different panel systems created a revolution in saddlery, but were difficult to use and left the rider feeling "PERCHED" above their horse! For the HORSE the ORTHO-FLEX was the best system available for many years. I also created the First: Dropped Yoke Rigging,/ Neoprene Girths,/ Contoured Pads with Shims, all to help adapt the Delrin Panel system! The Customer Service alone was the largest single expense of OrthoFlex when I owned it. Overwhelming! There had to be Something BETTER, EASIER to use, that would CORRECT INHERENT in all saddles, and be AFFORDABLE! Creating the CorrecTOR took me 2 years alone with my horses and a collection of the worst old saddles you could imagine. I'm more excited about what I've developed (the CorrecTOR) than anything I've done since Lisa and I rode 3000 miles through the West on horseback in 1982. When you call or email you'll be talking to me. I work with you direct---no more Oversized Company with inexperienced folks on the phone.